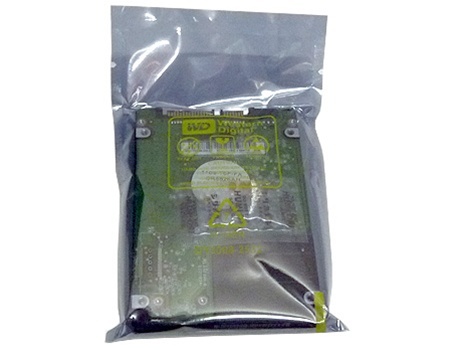 NOTE: This hard drive is tested compatible with Sony PS3 ok! 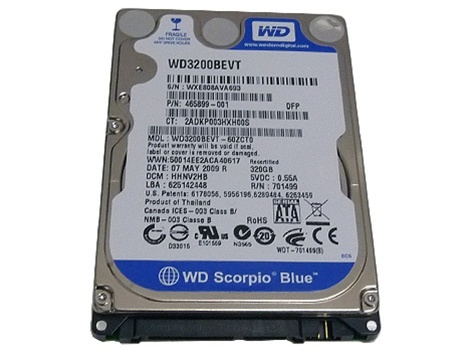 To make drive selection simple, we've gathered all our popular 5400 RPM WD Scorpio drives under one umbrella we call WD Scorpio Blue. Built to Western Digital's awarding winning quality standards, these drives are available in a full range of performance features. 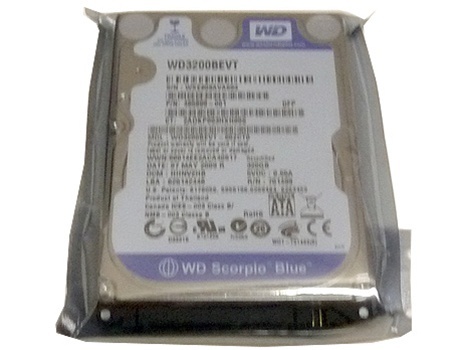 Massive capacity - Whether they are in an external drive or a notebook computer, 320 GB WD Scorpio Blue 2.5-inch drives offer the most available capacity for space-hungry operating systems like Windows Vista?, plus plenty of room left over for photos, music, and video. 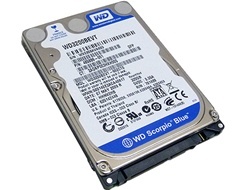 Fast and Efficient - With 5400 RPM spin speed and 12 ms access time and up to 3 Gb/s SATA interface speed, even the most demanding customer will appreciate the performance achieved by WD Scorpio Blue drives. Quiet - In a notebook drive, silence is golden. WD's exclusive WhisperDrive? 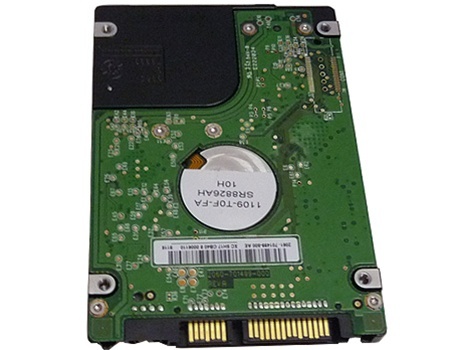 combines state-of-the-art seeking algorithms to yield one of the quietest 2.5-inch hard drives on the market. These algorithms also optimize the way a drive seeks for data, which significantly improves power consumption. So now silence (and longer battery life) is golden. Reliable and Rugged - WD's ShockGuard? technology protects the drive mechanics and platter surfaces from shocks. WD's SecurePark? parks the recording heads off the disk surface during spin up, spin down and when the drive is off. This ensures the recording head never touches the disk surface resulting in improved long term reliability due to less head wear, and improved non-operational shock tolerance.